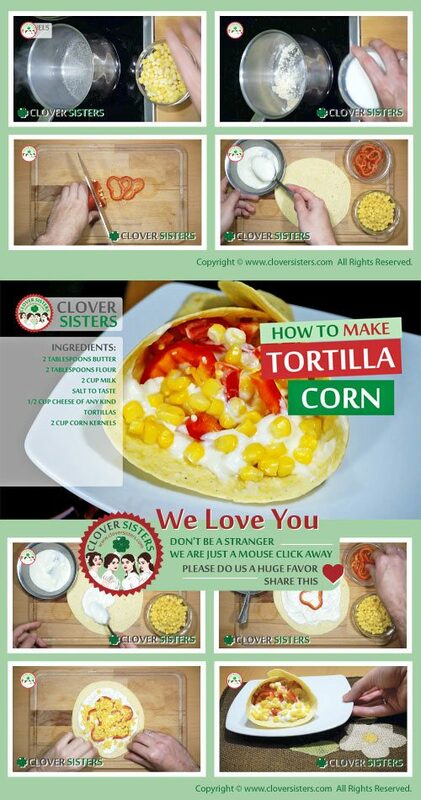 My favorite tortilla filled with sweet corn recipe. Crusty and creamy with natural sweetness of sweet corn. Perfect lazy supper. First make béchamel. Warm up the butter in a sauce pan and add flour. Stir for a minute then gradually add milk and bring to boil stirring all the way. Leave it 5 minutes to rest and it’s ready for you kitchen magic. 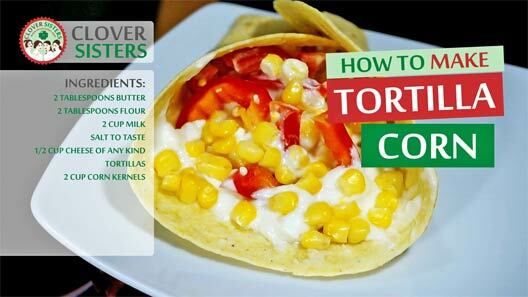 Warm the tortilla, spread the béchamel and add corn and sliced red pepper. Fold and serve.